Custom Label 600 mL round Bottled Water from pioneers of this great product! Insist on Certified Carbon Neutral Products! Our custom label bottled water is certfied as a carbon neutral product. Small or large orders. Fast turnaround. Australia wide. Pallet lots (70 cartons of 24 bottles) of round bottles from $0.70 per bottle (plus artwork and delivery). Even less for larger orders! 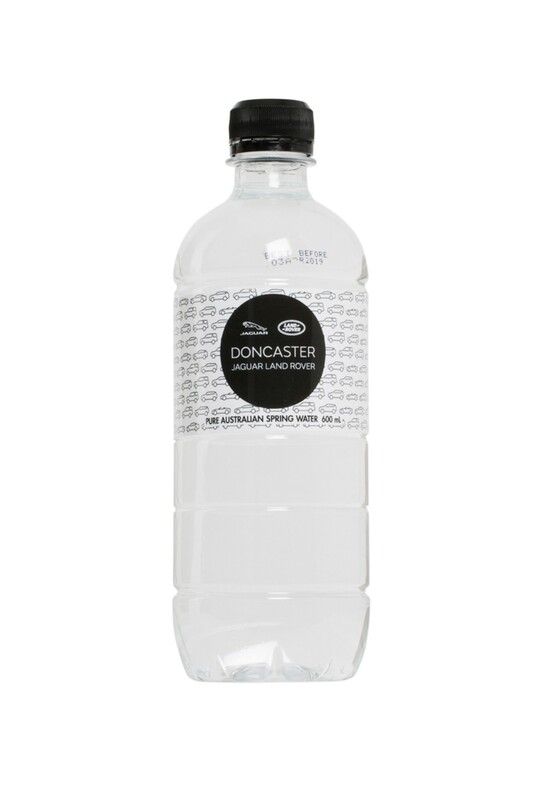 Make a lasting impression by offering pure bottled water with your brand or organisations name on the label. Our custom labelled water bottles offer you the opportunity to promote your event, brand or organisation by using a product that symbolises health and vitality. Marketing via this method has proven to be hugely successful as potential customers take away a lasting brand image. Organisations that can benefit from their own branded water product include companies, businesses, sports clubs, schools and community groups, government agencies, corporate sponsored events and fundraisers. We supply own brand bottled water, private label bottled water and custom label bottled water for large and small clients. We only use Pure Australian Spring Water. Our natural spring water is sourced from natural, protected springs around Australia. All of our waters are bottled under strict quality controls and are free of any contaminants, preservatives and chemicals. Bottled water offers a refreshing and healthy alternative to sweet and carbonated drinks and it is kilojoule free. Source Direct has achieved carbon neutral statusÂ (NoCO2) and all greenhouse gas emissions produced from the operations of Source Direct Pty Ltd have been calculated by the carbon Reduction Institute. Source Direct has purchased carbon offsets accredited under the Voluntary Carbon Standard to offset these emissions, so now you can be assured all products that you purchase from Source Direct are carbon neutral. Custom Bottled Water can include custom designed and printed labels to suit any branding requirement. Give it away or sell it with your name on it to reinforce the quality aspects of your business. Brilliant full colour labels can make your organisation, brand or business name stand out in the marketplace. Our graphic design team will design your label in collaboration with you. There is a one-off investment of $95.00 plus gst to design and set-up your label. Your label design will be created by a professional graphic designer. Re-orders will not attract this charge if you use the same label design. Ask for a quote on the size and quantity you require. We just need to know the quantity, number of colours in your label and delivery address. We will send you a confirmed quote by email. Usually within an hour! There is no GST applicable to non carbonated bottled water. Freight charges confirmed with order. Prepayment is required for first orders. Payment terms to approved customers are Strictly Net 14 Days. Minimum order is 120 bottles. Bottles supplied in cartons of 24. Products can be safely purchased by email 24 hours a day 7 days a week or simply use the contact us enquiry form and we will answer any questions you may have. Buy custom labelled bottled water from Source Direct and you will be helping The Humour Foundation (as we make a donation every quarter based on the volume of bottles you buy!) Every purchase helps! We can even include a certification of the donation on your label if you wish! Simply click on contact us and complete the information form so that we can respond appropriately.